Mary's House is a day facility that works on goals and life skills for folks with Special needs. The smiles on their faces will warm your heart for sure, as they come out to say thank you and have a great time with us! All sorts of fun to be had this day! You haven't had a burger till you've had a Grease Monkey Burger, so come hungry! 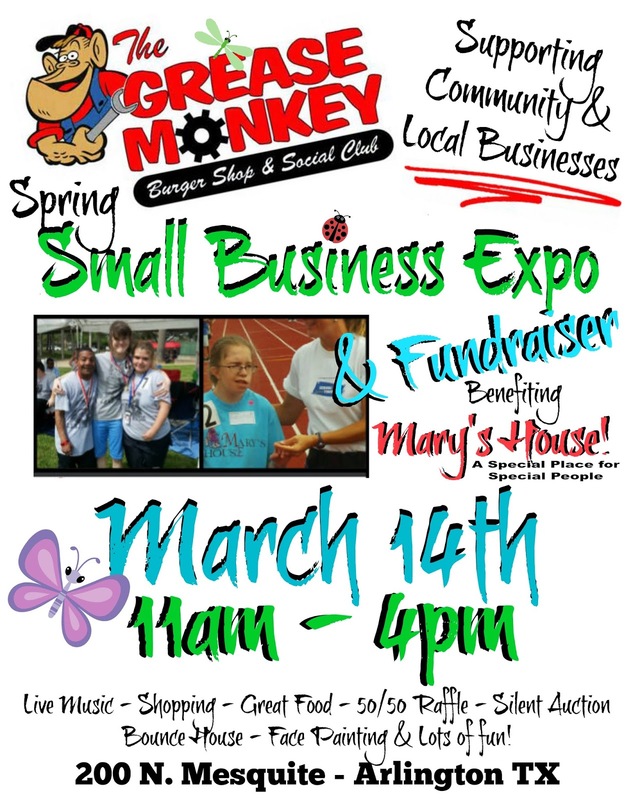 Do some spring cleaning on that make-up, home decor, jewelry - come on out and replace it all, and support these local businesses in the process! Community is so important, and small businesses add so much to the economy of our local communities! This is a way to show them some support, AND, have a BLAST doing it! Check it out: Raffle, Prizes, Silent Auction with Auctioneer! Choo Choo Train, Face Painting, Balloons, Games, and TONS of fun! Share this with your family and make it a day to remember!" Booths are 10 X 10 and cost $50 plus a raffle item of $25 value. Canopy needed - You supply your own table & chairs. This fee includes a Vendor Lunch Special. For more information, visit their website or contact their event coordinator at Robin@hotironpromos.com.